Advanced Dungeons and Parenting: Happy Birthday Klarkash-Ton! Today, in 1893, one of the great trinity of Weird Fiction authors was born. 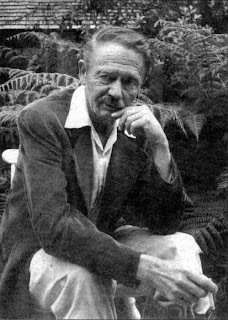 Of the "big three" Weird Fiction authors, Clark Ashton Smith is the one who has least captured the popular imagination. Robert E. Howard's Conan is a figure that looms large in the popular psyche, and Lovecraft's Weird Tales inspired countless authors and a number of films and television episodes. Awareness of Lovecraft's "Cthulhu Mythos" has long been lurking in the depths of the popular subconscious and is slowly surfacing into full awareness. When will the popular psyche become aware of Klarkash-Ton's literary influence on modern fantasy? Let us hope that day comes sooner rather than later. I first encountered the writings of Clark Ashton Smith when I read the X2 Castle Amber module for the Dungeons and Dragons Expert Set game written by Tom Moldvay. 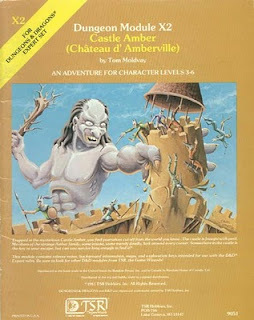 Castle Amber was one of the first truly narrative adventures written for the Dungeons and Dragons game. It influenced the structure and tone of the classic Ravenloft module, and permanently embedded the name "Etienne D'Amberville" into the hearts of fans of the Known World D&D setting. I had purchased Castle Amber believing it had some relation to the Amber stories of Roger Zelazny. I was wrong, but I have rarely been so glad to be incorrect. The Castle Amber module is a celebration of the Weird Tale, combining narrative elements from Edgar Allan Poe, H P Lovecraft, and Clark Ashton Smith. The Poe references were obvious to me, even though I was quite young when I first read the module, but the references to a wondrous place called Averoigne were entirely new to me. I had never heard of the "Beast of Averoigne, (nor the Beast of Gévaudan for that matter) "The Colossus of Ylourgne," or "The Holiness of Azédarac." I likely never would have, but for the fact that Moldvay had a brief bibliography listing the stories that influenced Castle Amber. Up to that time, I had not encountered anything quite like Smith's writing. My fantasy experience had been primarily limited to Tolkien, Brooks, Greek Myths, Arthurian Legend, Moorcock, Zelazny, and Lewis. The truly weird tale had escaped me, but that small bibliography opened new avenues of fantastic fiction to me. In recent years, publishers have printed some very nice collections of Clark Ashton Smith's works. The University of Nebraska Press has printed Lost Worlds and Out of Space and Time. Night Shade Books has been compiling Smith short stories in wonderful editions. I highly recommend purchasing physical copies of Smith's works, but for the digital reader Eldritch Dark has collected much of Smith's written work -- with proper concern for copyright. I could write, and talk, about Smith for hours. When I discovered he had lived in Auburn, CA (a city close to my wife's home town), I began a brief obsession with Smith. I even began reading his correspondence...for fun mind you, much of which you can read at the Eldritch Dark website. 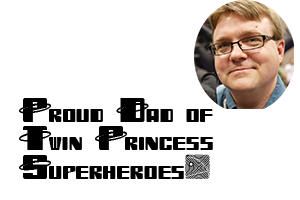 I am not the only person on the interwebs celebrating CAS's birthday, the premiere pulp website The Cimmerian has a couple of good posts up today that are worth reading.